The following terms and conditions apply to on-line assessments conducted by Incorporate Consulting Limited and the i3 reports which are produced as a result of such assessments. Please read these terms and conditions carefully. If you do not accept these terms and conditions then you should not proceed with the i3 assessment. By proceeding with the i3 assessment you agree that you have read and accepted these terms and conditions. We reserve the right to amend these terms and conditions at any time and you should, therefore, re-read these terms and conditions on each occasion when you want to take an i3 assessment. We are the owner of the i3 system and of all intellectual property rights in it. You may use the i3 system only for the purposes of undertaking an assessment and the use by you and by the party which has entered into a contract with us of the i3 report which is generated as a result of the assessment for your personal purposes and the business purposes of the party which has entered into a contract with us for the production of the report. Save to the extent expressly approved by us you may not copy, reproduce, share with or disclose to any third party the contents of the i3 system or the i3 report which is generated. The i3 report is intended to provide general information and guidance to assist with decision making concerning your career, employment or other personnel issues. By undertaking the assessment you expressly agree that the party which has entered into a contract with us for the preparation of the i3 report may use the report for the purposes which they have made known to you. You further agree that the i3 report should not be the sole basis on which decisions relating to employment, career or personnel issues are decided and is only one source of information on which such decisions should be based. Accordingly, i3 cannot be responsible or liable to you for any use which is made of the i3 report and, in particular, for any decision which is made based on the contents of the report. In order to undertake the i3 assessment you are required to give us certain personal information which is limited to (a) your full name, (b) your email address and (c) your associated business/organisation name. We use this information for the purpose of verifying that the i3 assessment is being undertaken by the correct person, for use in the preparation of the i3 report and to inform the party which has entered into a contract with us. Subject to the above, we do not share any personal information with any third parties. The security of your personal information is important to us and the on-line assessment website has security measures in place to protect the loss, misuse or alteration of personal information which is under our control. “Charges” – the charges payable by the Customer for the supply of the Services in accordance with clause 6. “Commencement Date” – has the meaning set out in clause 2.2. “Conditions” – these terms and conditions as amended from time to time in accordance with clause 12.8. “Contract” – the contract between i3 and the Customer for the supply of Services in accordance with these Conditions. 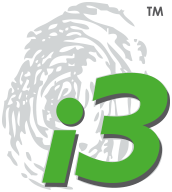 “Customer” – the person or firm who purchases Services from i3. “Deliverables” – the deliverables set out in the Order produced by i3 for the Customer. “Intellectual Property Rights” – all patents, rights to inventions, utility models, copyright and related rights, trade marks, service marks, trade, business and domain names, rights in trade dress or get-up, rights in goodwill or to sue for passing off, unfair competition rights, rights in designs, rights in computer software, database right, topography rights, moral rights, rights in confidential information (including know-how and trade secrets) and any other intellectual property rights, in each case whether registered or unregistered and including all applications for and renewals or extensions of such rights, and all similar or equivalent rights or forms of protection in any part of the world. “Order” – the Customer’s order for Services as set out in the order form [set out overleaf/to which these conditions are attached]. “Services” the services, including the Deliverables, supplied by i3 to the Customer as set out in the Specification set out in the Order. “Specification” the description or specification of the Services provided in writing by i3 to the Customer and set out in the Order. 1.2.5. a reference to writing or written includes faxes [and e-mails]. 2.1. The Order constitutes an offer by the Customer to purchase the Services which it has selected in the Order in accordance with these Conditions. 2.2. The Order shall only be deemed to be accepted when i3 issues written acceptance of the Order at which point and on which date the Contract shall come into existence (Commencement Date). 2.3. The Contract constitutes the entire agreement between the parties. The Customer acknowledges that it has not relied on any statement, promise or representation made or given by or on behalf of i3 which is not set out in the Contract. 2.4. Any samples, drawings, descriptive matter or advertising issued by i3, and any descriptions or illustrations contained in i3’s catalogues or brochures, are issued or published for the sole purpose of giving an approximate idea of the Services described in them. They shall not form part of the Contract or have any contractual force. 2.6. Any quotation given by i3 shall not constitute an offer, and is only valid for a period of 20 Business Days from its date of issue. 3.1. I3 shall supply the Services to the Customer in accordance with the Specification in all material respects. 3.2. I3 shall use all reasonable endeavours to meet any performance dates specified in the Specification but any such dates shall be estimates only and time shall not be of the essence for performance of the Services. 3.3. I3 shall have the right to make any changes to the Services which are necessary to comply with any applicable law or safety requirement, or which do not materially affect the nature or quality of the Services, and i3 shall notify the Customer in any such event. 3.4. I3 warrants to the Customer that the Services will be provided using reasonable care and skill. 4.3. the Customer grants i3 the right and license to use, copy and extract data from i3 profile reports which are created as part of the Services for its own business purposes, including in the compilation of statistical data, reports and research. 5.1.5. perform any other obligations which are its responsibility as stated in the Specification. 5.2.3. the Customer shall reimburse i3 on written demand for any costs or losses sustained or incurred by i3 arising directly or indirectly from the Customer Default. 6.1.4. i3 shall be entitled to charge the Customer for any expenses reasonably incurred by the individuals whom i3 engages in connection with the Services including, but not limited to, travelling expenses, hotel costs, subsistence and any associated expenses, and for the cost of services provided by third parties and required by i3 for the performance of the Services, and for the cost of any materials. 6.2. I3 reserves the right to increase its standard daily fee rates, provided that such charges cannot be increased more than once in any 12 month period. I3 will give the Customer written notice of any such increase 2 months before the proposed date of the increase. If such increase is not acceptable to the Customer, it shall notify i3 in writing within 4 weeks of the date of i3’s notice and i3 shall have the right without limiting its other rights or remedies to terminate the Contract by giving 4 weeks’ written notice to the Customer. 6.3. I3 shall invoice the Customer on commencement of the Services or monthly in arrears, depending on the type of Services concerned. 6.4.2. in full and in cleared funds to a bank account nominated in writing by i3, and time for payment shall be of the essence of the Contract. 6.5. All amounts payable by the Customer under the Contract are exclusive of amounts in respect of value added tax chargeable for the time being (VAT). Where any taxable supply for VAT purposes is made under the Contract by i3 to the Customer, the Customer shall, on receipt of a valid VAT invoice from i3, pay to i3 such additional amounts in respect of VAT as are chargeable on the supply of the Services at the same time as payment is due for the supply of the Services. 6.6. Without limiting any other right or remedy of i3, if the Customer fails to make any payment due to i3 under the Contract by the due date for payment (Due Date), i3 shall have the right to charge interest on the overdue amount at the rate of 4%per cent per annum above the then current Barclays Bank Plc’s base rate accruing on a daily basis from the Due Date until the date of actual payment of the overdue amount, whether before or after judgment, and compounding quarterly. 6.7. The Customer shall pay all amounts due under the Contract in full without any deduction or withholding except as required by law and the Customer shall not be entitled to assert any credit, set-off or counterclaim against i3 in order to justify withholding payment of any such amount in whole or in part. I3 may, without limiting its other rights or remedies, set off any amount owing to it by the Customer against any amount payable by i3 to the Customer. 7.1. All Intellectual Property Rights in or arising out of or in connection with the Services shall be owned by i3. 7.2. The Customer acknowledges that, in respect of any third party Intellectual Property Rights, the Customer’s use of any such Intellectual Property Rights is conditional on i3 obtaining a written licence from the relevant licensor on such terms as will entitle i3 to license such rights to the Customer. 7.3. Except as expressly stated in these Conditions no licence to use the Services or the Deliverables is granted by i3 to the Customer. 9.1.3. breach of the terms implied by section 2 of the Supply of Goods and Services Act 1982 (title and quiet possession). 9.2.2. i3’s total liability to the Customer in respect of all other losses arising under or in connection with the Contract, whether in contract, tort (including negligence), breach of statutory duty, or otherwise, shall in no circumstances exceed the total of the Charges paid by the Customer to i3 in any 12 month period. 9.3. Except as set out in these Conditions, all warranties, conditions and other terms implied by statute or common law are, to the fullest extent permitted by law, excluded from the Contract. 9.4. The Customer acknowledges that the i3 profile reports are intended to provide general information and guidance to assist with the Customer’s decision making only. The i3 profile reports are not intended to be the sole basis upon which decisions are made by the Customer, including those relating to recruitment or suitability for particular job roles. i3 accepts no liability to the Customer or any third party for any decisions made based on the contents of an i3 profile report or for any claims made against the Customer by the subject of the i3 profile report or any third party based upon the contents or recommendations in the report. 9.5. This clause 9 shall survive termination of the Contract. Data Protection Legislation: the Data Protection Act 1998 applies up to and including 24 May 2018 and then the GDPR applies from 25 May 2018 onwards including legislation relative to the Privacy and Electronic Communications Regulations and related codes of practice and guidance. 10.1 Data Protection and Data Processing: both parties will comply with all applicable requirements of the “Data Protection Legislation” as defined above. 10.6 Incorporate Consulting agrees to maintain complete and accurate records and information to demonstrate its compliance with the Data Protection Legislation. 11.2. Without limiting its other rights or remedies, i3 may terminate the Contract with immediate effect by giving written notice to the Customer if the Customer fails to pay any amount due under this Contract on the due date for payment. 11.3. Without limiting its other rights or remedies, i3 shall have the right to suspend provision of the Services under the Contract or any other contract between the Customer and i3 if the Customer becomes subject to any of the events listed in clauses 9.1.2 to 9.1.6, or i3 reasonably believes that the Customer is about to become subject to any of them, or if the Customer fails to pay any amount due under this Contract on the due date for payment. 12.1.4. clauses which expressly or by implication have effect after termination shall continue in full force and effect. 13.1.1. For the purposes of this Contract, Force Majeure Event means an event beyond the reasonable control of i3 including but not limited to strikes, lock-outs or other industrial disputes (whether involving the workforce of i3 or any other party), failure of a utility service or transport network, act of God, war, riot, civil commotion, malicious damage, compliance with any law or governmental order, rule, regulation or direction, accident, breakdown of plant or machinery, fire, flood, storm or default of suppliers or subcontractors. 13.1.2. I3 shall not be liable to the Customer as a result of any delay or failure to perform its obligations under this Contract as a result of a Force Majeure Event. 13.1.3. If the Force Majeure Event prevents i3 from providing any of the Services for more than four weeks, i3 shall, without limiting its other rights or remedies, have the right to terminate this Contract immediately by giving written notice to the Customer. 13.2.1. I3 may at any time assign, transfer, charge, subcontract or deal in any other manner with all or any of its rights under the Contract and may subcontract or delegate in any manner any or all of its obligations under the Contract to any third party or agent. 13.2.2. The Customer shall not, without the prior written consent of i3, assign, transfer, charge, subcontract or deal in any other manner with all or any of its rights or obligations under the Contract. 13.3.1. Any notice or other communication required to be given to a party under or in connection with this Contract shall be in writing and shall be delivered to the other party personally or sent by prepaid first-class post, recorded delivery or by commercial courier, at its registered office (if a company) or (in any other case) its principal place of business, or sent by fax to the other party’s main fax number. 13.3.2. Any notice or other communication shall be deemed to have been duly received if delivered personally, when left at the address referred to above or, if sent by pre-paid first-class post or recorded delivery, at 9.00 am on the second Business Day after posting, or if delivered by commercial courier, on the date and at the time that the courier’s delivery receipt is signed, or if sent by fax, on the next Business Day after transmission. 13.3.3. This clause 13.3 shall not apply to the service of any proceedings or other documents in any legal action. For the purposes of this clause, “writing” shall not include e-mails and for the avoidance of doubt notice given under this Contract shall not be validly served if sent by e-mail. 13.4.1. A waiver of any right under the Contract is only effective if it is in writing and shall not be deemed to be a waiver of any subsequent breach or default. No failure or delay by a party in exercising any right or remedy under the Contract or by law shall constitute a waiver of that or any other right or remedy, nor preclude or restrict its further exercise. No single or partial exercise of such right or remedy shall preclude or restrict the further exercise of that or any other right or remedy. 13.4.2. Unless specifically provided otherwise, rights arising under the Contract are cumulative and do not exclude rights provided by law. 13.5.1. If a court or any other competent authority finds that any provision of the Contract (or part of any provision) is invalid, illegal or unenforceable, that provision or part-provision shall, to the extent required, be deemed deleted, and the validity and enforceability of the other provisions of the Contract shall not be affected. 13.5.2. If any invalid, unenforceable or illegal provision of the Contract would be valid, enforceable and legal if some part of it were deleted, the provision shall apply with the minimum modification necessary to make it legal, valid and enforceable. 13.6. No partnership: Nothing in the Contract is intended to, or shall be deemed to, constitute a partnership or joint venture of any kind between any of the parties, nor constitute any party the agent of another party for any purpose. No party shall have authority to act as agent for, or to bind, the other party in any way. 13.7. Third parties: A person who is not a party to the Contract shall not have any rights under or in connection with it. 13.8. Variation: Except as set out in these Conditions, any variation, including the introduction of any additional terms and conditions, to the Contract, shall only be binding when agreed in writing and signed by i3. 13.9. Governing law and jurisdiction: This Contract, and any dispute or claim arising out of or in connection with it or its subject matter or formation (including non-contractual disputes or claims), shall be governed by, and construed in accordance with, English law, and the parties irrevocably submit to the exclusive jurisdiction of the courts of England. 13.10. Entire agreement: the “Contract” constitutes the entire agreement between the parties and extinguishes all previous agreements, warranties and assurances between both parties. i3 makes no warranties, representation, statements or guarantees (whether express, implied in law or residual) regarding the website, the information contained on the website, nor either your or your company’s personal information or material and information transmitted over our system. (c) issue a credit note to you for the whole or part of the price of such Products or Services as appropriate. (b) if the total price for our Products or Services has not been paid by the due date for payment. This is the privacy notice of Incorporate Consulting Limited. In this document, “we”, “our”, or “us” refer to i3 which is owned by Incorporate Consulting Limited. We are company number 6889133 registered in the United Kingdom. Our registered office is at 1st Business Centre, Industry Road, Newcastle upon Tyne NE6. In order to carry out our obligations under that contract we must process the information you give us. Some of this information may be personal information namely your full name, email address and or your associated business/organisation name. You may withdraw your consent at any time by instructing us unsubscribe@i3profiling.com . However, if you do so, you may not be able to use our website or our services further. record-keeping for the proper and necessary administration of our i3 profiling services. Provided your request is reasonable and there is no legal basis for us to retain it, then at our discretion we may agree to your request to delete personal information that you have posted. You can make a request by contacting us at unsubscribe@i3profiling.com . We don’t not offer payment options via our website. Any payments made to us for services rendered are done so by invoicing you or your business whereupon you pay for said services. Any payment information is never taken by us or transferred to us either through our website or otherwise. Our employees and contractors never have access to it. At the point of payment online should this be available, you are transferred to a secure page on the website of [WorldPay / SagePay / PayPal / Stripe] or some other reputable payment service provider. That page may be branded to look like a page on our website, but it is not controlled by us. We record your request and our reply in order to increase the efficiency of our i3 related services. For example, some of the software our website uses may have been developed in South Africa. Certain areas of our website are designed for use by children over 16 years of age. These areas include the i3 career direction assessment.